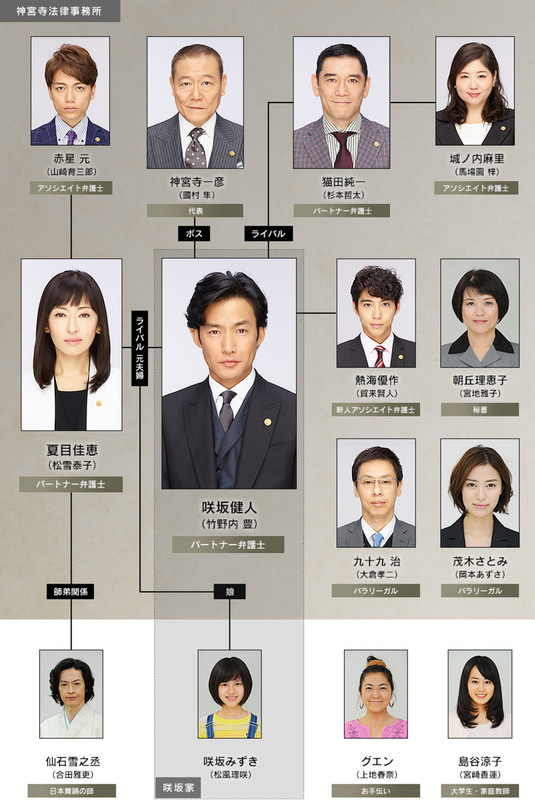 Sakisaka Kento (Takenouchi Yutaka) is a lawyer with an outstanding career. He seems cool and handsome, but he is a zealous person who will confront things that are unreasonable and wrong head-on. There are times when he values the words of a single person and not a lawyer. 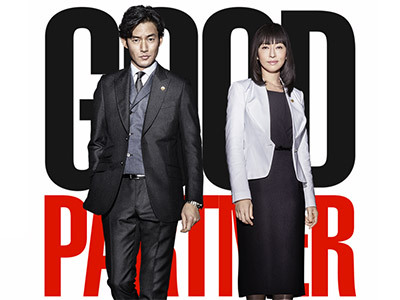 Sakisaki is regarded as the ace of the law firm, but his only weak point is a lawyer at the same firm who also happens to be his ex-wife Natsume Yoshie (Matsuyuki Yasuko). He has been raising their daughter Mizuki (Matsukaze Risa) as a single father since their divorce. A stylish lawyer who holds her head high, Yoshie is down-to-earth and a perfectionist. These two rival lawyers often have well-reasoned legal arguments regarding the cases of their clients. However, when they wander off topic, they will call each other �gpapa�h and �gmama�h the moment they lose their cool and start quarreling like a couple. The problem with this drama is Takenouchi and Yasuko Matsuyuki are supposed to be a divorced couple. These two have absolutely no attraction or chemistry between them. Never mind being divorced, I couldn't believe they had ever been married. It lacks humour and and after a few episodes, I started to fast forward to its conclusive 10 minutes.